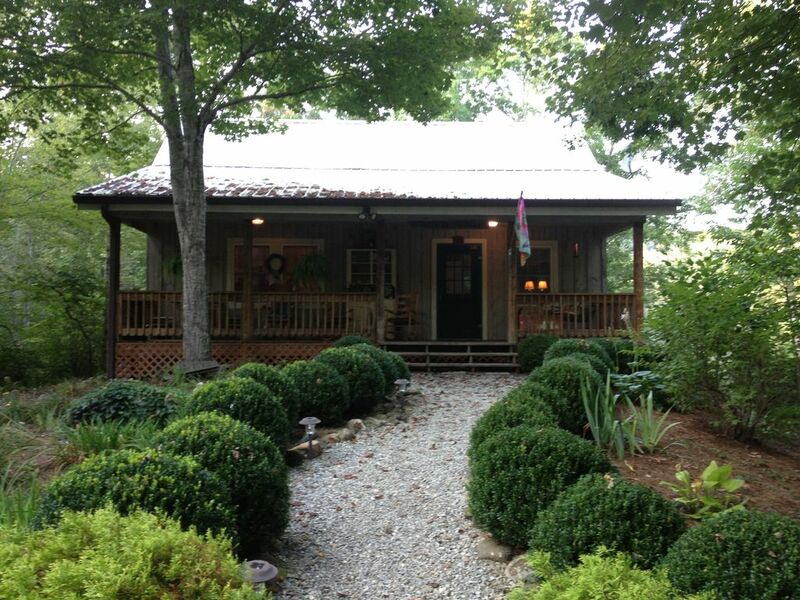 The cabin is a completely furnished 2 bedroom, 2 bathroom dwelling. Living room has a gas fireplace, kitchen is stocked with everything you need except your food. TV located in the LR & MB. There is also a full laundry room with laundry supplies provided. A gas grill in on the rear deck. A charcoal grill & picnic table are located next to the stream. The large front porch has a rocking chairs & a swing. In the summer many Hummingbirds will entertain you as you enjoy the front porch.